The debate over the origin of American Barbecue is one that will probably never be resolved. By defining barbecue as a process by which meat is slow cooked over a low fire with smoke opens up the history of barbecue to prehistoric times. As to who gets to claim the origin of American Barbecue, well, wars have been fought over less. While they may appear similar in equipment and techniques they are very different ways of cooking. Grilling is a hot and fast cooking process, and while you can get the introduction of smoke and fire you don't get the same results that you do from smoking. The smoking of foods is a slow process, sometimes taking more than 24 hours to complete. Now while people will refer to cooking a steak out on the barbecue, buying a new barbecue grill, or attending a barbecue where hamburgers were served, this isn't barbecue. This is grilling. We do not take sides on which is a better way to cook. Given the time we will typically barbecue, otherwise, we grill. Each has its own virtues. Moving forward to nail down what true barbecue is, it's time to look at the regional variations. In Texas, we have beef, particularly brisket. In the Carolinas, we find pork, either whole hogs or pork shoulder. As you start moving towards Kansas City you find ribs, generally, pork ribs but beef ribs are not unheard of. Out in western Kentucky, you find Mutton. The thing all these traditions have in common is low cooking temperatures over a long time with the introduction of smoke to flavor and tenderize. They all start out with tough and unruly cuts of meat and end up with tender, pull apart delicacies. Brisket: Texas-style beef brisket is made from one of the toughest cuts of meat. Because of this, it can take a very long time to cook to the point of fork tenderness. Served sliced with a thick tomato sauce. Owensboro Mutton: This strange tradition goes back to the beginning of the 19th century when sheep production in the United States finally became profitable. You'll find this dished up in Owensboro Kentucky, sliced on white bread with a black vinegar sauce. 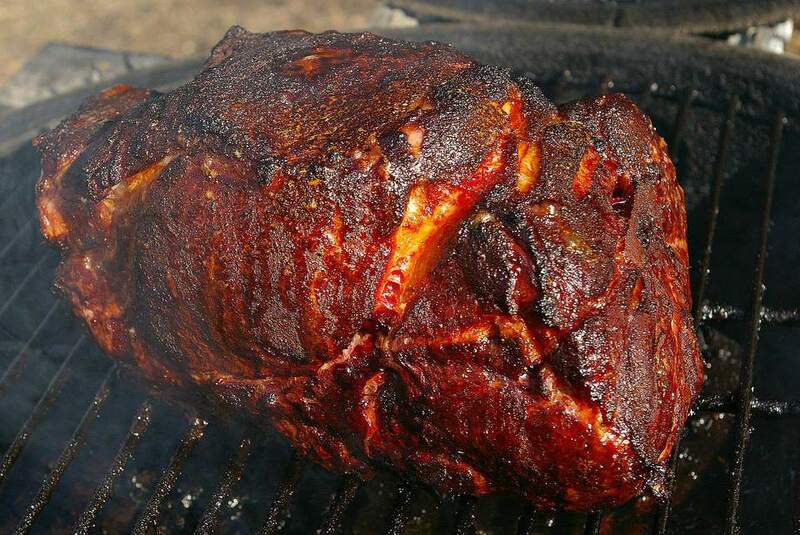 Pulled Pork: Probably the original American barbecue, this delicacy was enjoyed by the founding fathers. Slow smoked pork from either the whole hog or selected cuts become so tender it is pulled apart by hand, dished up on buns and topped with a thin vinegar sauce. Ribs: The most popular form of barbecue, you don't know what you are missing until you've had them the traditional way. There is more variation in how ribs are smoked but typically pork ribs are cooked in whole racks and served up with a thick tomato sauce. The days when you could get lynched for misspeaking barbecue lore in some "Q" joint have, for the most part, passed. However, for the sake of conversation, you might need to know the difference between eating barbecue and attending a barbecue at some point in life. If you don't know barbecue then you owe it to yourself to go out and find some. When cooked right there are a few things that are better for your mouth.